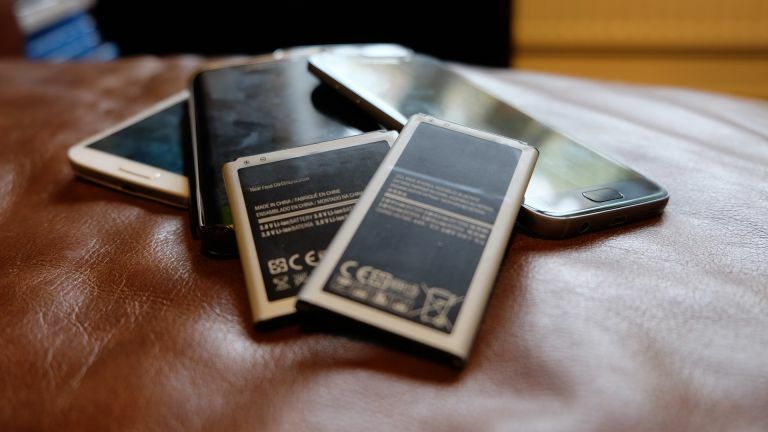 Smartphone battery drain is the source of many a woe. Phone always seeming to run out of juice when you need them the most. Despite myriad battery breakthroughs very few have led to a real-world jump in power, until now. Scientists at MIT who formed the company SolidEnergy have managed to create a new type of battery that will be able to double the life of your smartphone. That or make it half the size. The really exciting part here is that the SolidEnergy company is behind this, meaning it's not just a scientific breakthrough but something that will come to market soon. The company says these new batteries will be in smartphones and wearables in early 2017 and should appear in cars from 2018. Now for the science bit. The battery is an anode-free lithium metal unit meaning it's just as safe and long-lasting as current lithium-ion batteries, only half the size. The battery swaps out the traditional graphite anode for a thin lithium-metal foil which can hold more ions meaning greater energy capacity. So phone makers can keep the same size batteries and double their lives - or half theire size for even smaller smartphones. This will be great news for wearables which can suffer very short battery lives which puts many off using them long-term. When SolidEnergy showed off a working example of the battery, which despite being half the size of the 1.8 amp hour iPhone 6 battery offered 2 amp hours, it got more than $12 million of investment. SolidEnergy has moved location to a bigger facility and plans to begin production for the launch in November.